The Supreme Court’s seven-Judge Constitution bench will hear on Thursday arguments on whether it or a nine-Judge bench should review the definition of “industry” as interpreted by Justice Krishna Iyer, as part of another seven Judge Bench, way back in 1978. 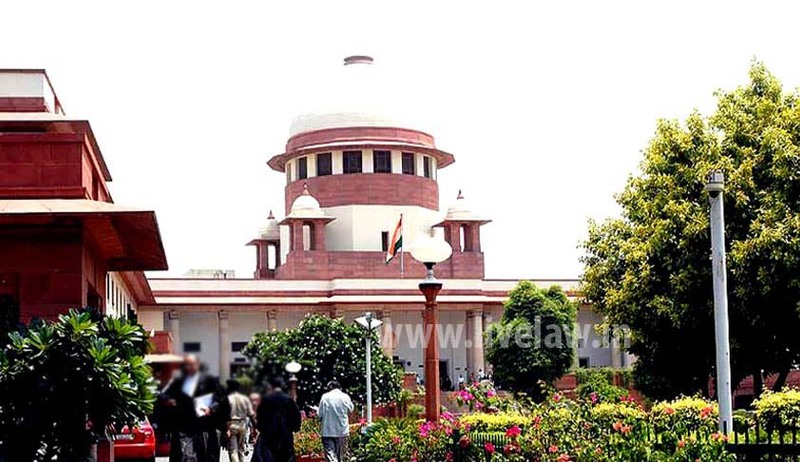 The seven Judge bench comprises the Chief Justice T.S.Thakur, and Justices Madan B.Lokur, S.A.Bobde, Adarsh Kumar Goel, Uday Umesh Lalit, D.Y.Chandrachud, and L.Nageswara Rao. In the landmark Bangalore Water Supply and Sewerage Board v A.Rajappa, decided by the seven Judge bench, Justice V.R.Krishna Iyer, had amplified the definition of “industry”, as the result of disputes arising in establishments that are not manufacturing industry, but belong to categories such as hospitals, educational and research institutions, government departments, public utilities, professions and clubs. The bench, presided by the then CJI, Justice M.H.Beg, included justices Y.V.Chandrachud, P.N.Bhagwati, Krishna Iyer, Jaswant Singh, V.D.Tulzapurkar, and D.A.Desai. Of the five Judges who constituted the majority, three had given a common opinion, but two others gave separate opinions, projecting a view partly different from the views expressed by the other three Judges. Justice Beg, having retired in the mean time, had no opportunity to see the opinions delivered by the other Judges subsequent to his retirement. Justice Krishna Iyer, and the two Judges who spoke through him, did not have the benefit of the dissenting opinion of the other two Judges (Justices Jaswant Singh and Tulzapurkar) and the separately partly dissenting opinion of Justice Chandrachud, as those opinions were prepared and delivered subsequent to the delivery of the judgment. The majority judgment, authored by Justice Krishna Iyer, was delivered by him and on behalf of justices Beg, Bhagwati, and Desai. Justice Krishna Iyer had expanded the definition of “industry” for the purposes of interpretation of Section 2(j) of the Industrial Disputes Act (IDA), to cover most establishments that involved employer-employee relationship, irrespective of the objectives of the organisation concerned and its ownership and structure. In 1982, Parliament amended the IDA, to exclude many kinds of establishments from the definition. However, the amendment was never notified. The official reason for not notifying the amendment was that no alternative machinery for redress of grievances of employees in establishments excluded by the amendment had been provided. In 2005, a five Judge bench, headed by Justice N.Santosh Hegde, referred the case to a larger bench, in State of Uttar Pradaesh v. Jai Bir Singh. The other members of this bench were justices K.G.Balakrishnan, D.M.Dharmadhikari, Arun Kumar and B.N.Srikrishna. The Hegde bench favoured a review of the 1978 judgment, because it felt it carries an “overemphasis on the rights of workers” in industrial law, and that this has resulted in payment of “huge amounts as back wages” to workers illegally terminated or retrenched and that these awards sometimes “take away the very substratum of industry”. The Hegde bench also assumed that an over-expansive interpretation of the definition of industry might be a deterrent to private enterprise in India where public employment opportunities are scarce. The question before the Hegde bench was whether ‘social forestry’ department of State, which is a welfare scheme undertaken for improvement of the environment, would be covered by the definition of “industry” under Section 2(j) of the IDA. The bench of three Judges in the case of Chief Conservator of Forests v. Jagannath Maruti Kondhare concluded that social forestry department is covered by the definition of “industry” whereas a bench of two Judges in State of Gujarat v Pratamsingh Narsinh Parmar took a different view. This had led to a debate whether the two Judge bench was not bound to follow the precedent set by a three Judge bench earlier. The Hegde bench attributed the non-notification of the amendment to the IDA, defining “industry”, to lack of will on the part of the Legislature and the Executive. Senior advocates, Indira Jaising and Colin Gonsalves, appearing for the employees, had vehemently opposed the prayer made on behalf of the employers for referring the matter to a larger Bench for reconsideration of the judgment in the Bangalore Water case. The question before the Hegde bench was whether the amended definition, which is now a part of the statute, although not enforced, was a relevant piece of subsequent legislation which could be taken aid of to amplify or restrict the ambit of the definition of “industry” in Section 2(j) of the IDA as it stands in its original form. On behalf of the employees, it was urged before the Hegde bench that the unamended definition of industry, as interpreted by the Bangalore Water case, has been the settled law of the land in the industrial field. The settled legal position, it was urged, had operated well, and no better enunciation of scope and effect of the ‘definition’ could be made either by the legislature or by the Indian Labour Organization in its report. The Hegde bench also took the view that judicial interpretation of the word “industry” in Bangalore Water Supply case was one of the inhibiting factors in the enforcement of the amended definition of the IDA. However, the Hegde bench left it to the larger bench to give such meaning and effect to the definition clause in the present context with the experience of all these years and keeping in view the fact that the amended definition of industry was kept dormant all these years. “Pressing demands of the competing sectors of employers and employees and helplessness of legislature and executive in bringing into force the Amendment Act compel us to make this reference”, the Hegde bench said while referring the case for reconsideration by a larger bench. It is ironic that despite the passage of time, the Supreme Court is still struck on the question of the size of the bench to reconsider the 1978 judgment in the Bangalore Water Supply case, and on Thursday, it is likely to decide this preliminary issue first, before proceeding further.